Contact us Monday to Friday, between 8:15 am and 5:00 pm (AST) using one of the methods listed below. Complete the form below or email us at info@vestcor.org. Information sent to us using this method is not secure. Do not include any confidential information in this message. To speak with someone directly, contact us between 8:15 am and 5:00 pm AST, Monday to Friday, at 1-800-561-4012. Our office hours are Monday to Friday, 8:15 am to 4:30 pm (AST). 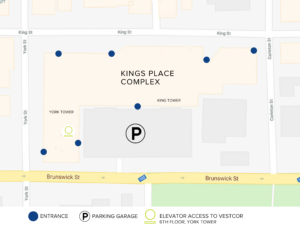 We’re located within the Kings Place Complex at 440 King Street, York Tower – Suite 680 in Fredericton, NB. Use the elevators located next to Shoppers Drug Mart. 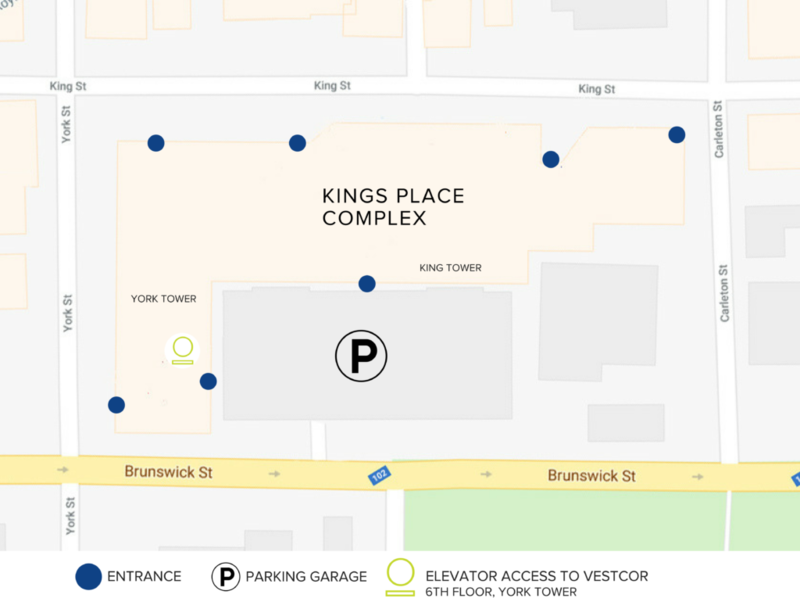 Click here for a full size version of the map. To provide innovative, cost effective, and prudent investment and benefit administration services that address the needs of public sector funds.